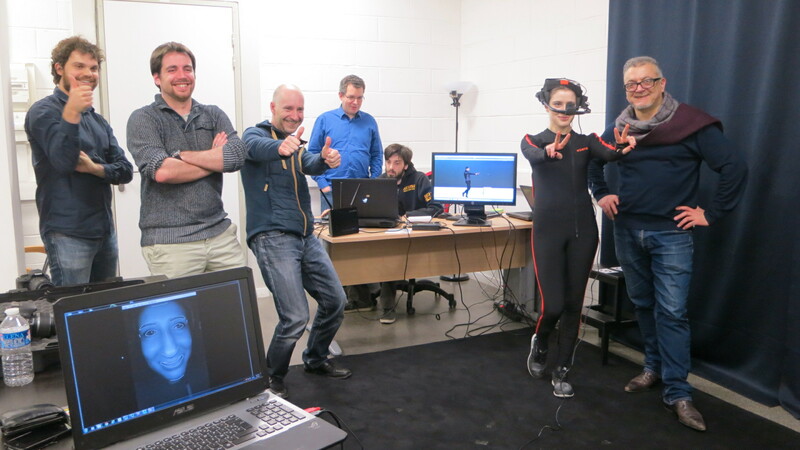 The objective was to connect three skills to validate a technical platform able to act a realist virtual character en real time it's a great challenge. it's a success. Doublesprit has still created the event during the fence of the summer season in Haute-Loire in The Domain of Melussac on September 2nd and 3rd, 2016. Marc Joseph SIGAUD retrieved again the scenic creation, and faced to a particularly difficult exercise, to stage Fabrice Eulry's musical one-man show and his crazy piano, propped up in the millimeter, but widely improvised for reasons of interactivity with the public. 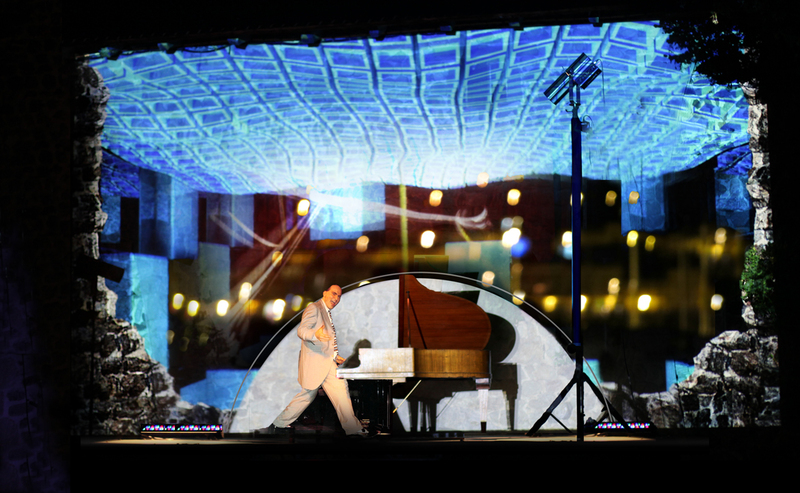 The picture interacts with the music, the pianist interacts with the live visuals and the whole interacts with the audience. Rhytmes insane virtuosos, feelings and bestialities, transversalité musical and visual, and generosities of the artists... All the ingredients were gathered for the success. Finally ended by a general audience's ovation.